Drive in pallet racking offers you an ultra high-density storage system providing continuous racking without dividing aisles. The system is a popular choice with distribution, warehousing and manufactures particularly those with a high pick rate and large volume of pallets in bound or dispatched. Here at 2h Storage we can provide new and used drive in pallet racking systems with a full design, installation, repair and inspection service to take care of all your requirements. 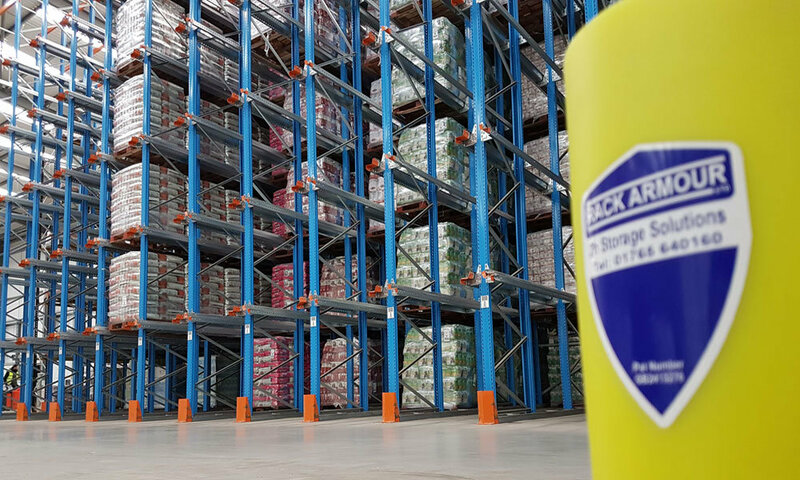 Because we are independent designers, suppliers and installers of all types and manufactures of pallet racking we will search the market place for the best and most cost effective drive in pallet racking solution for your unique requirements. 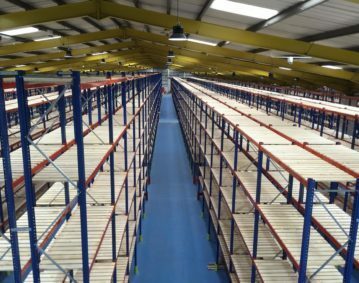 We will survey your building and design the best layout looking at pallet rail levels and the best drive in pallet racking block designs. Taking into account your pallet pick rates, forklift truck types and specifications pallet sizes shapes and overhangs. You will get full CAD drawings. Our in house installation team will install with current health and safety regulations. For full project management call 2h Storage Solutions today on 01937 585057. Provides a very high storage density and maximises space. It also has the added advantage that each pallet is supported individually so damage from crushing is eliminated. Pallets are deposited and retrieved from the cantilevered rails by forklift trucks, which drive into the racking structure. Pallets are stored and retrieved using the first in last out (FILO) principle.